3:16 MNM Party 2017 * Volume 1 541 / N.E.W.S. 3:17 Serious Beats 86 541 / N.E.W.S. Mal was halbwegs solides von Steve Aoki - kommt selten genug vor - mit einer Stimme, mit Pop - und schon klingt die Sache ... äh ... wie hundert andere ähnlich gelagerte Scheibe ... er läuft hinterher ... gute 3. Louis is universally renowned for having a bad singing voice hence being alongside Niall the other member of 1D who was vocally quiet on record. Hiding behind a dance track isn't going to change that. Niall surprised me as his acoustic guitar debut showed he has a good tone and can sing to a degree. It basically did what a solo track is supposed to do for the individual in question. Louis has made money as one of the more pro active 1D co-writers (never solo and always with a team however just like on this track) and I think that is where his talent may lie. The song is very generic and quite forgettable and below Zayn/Niall output in my opinion. He is known to be the nicest to the 1D fans and stick up for them the most in the media but musically it leaves a lot to be desired. Geen verkeerd nummer op zich maar misschien mocht het toch een beetje meer zijn. Tomlinson is de derde (ex)-1D'er met een solosingle. Hij moet het blijkbaar niet hebben van zijn eigen stem, zoals Niall en Zayn dat wel kunnen. Maar ook deze gesleutelde track kan er nog wel mee door. 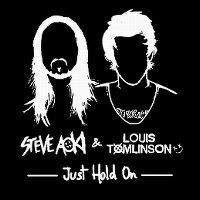 ▒ Eigenlijk voor mij maar een standaard ø zaterdagavonddansplaatje uit begin december 2016 van het gelegenheidsduo: "Steve Aoki & Louis Tomlinson" !!! Zal ook wel géén potten en pannen gaan breken in de Nederlandse hitlijsten ☺!!! 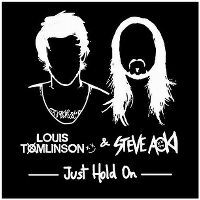 Nach Zayn und Niall geht jetzt auch Louis Solo in die Musikwelt! Langweiliges Nümmerchen das schnell vergessen ist! Total garbage. He sounds like Katy Perry at the start and that's no compliment. When he doesn't sound like Katy he sounds even worse. Also wow it's so generic. It just sounds so unappealing, Zayn and Niall both have had more to offer so far and I wasn't in love with either of their output. My life would not be missing much if I never heard this again. It's not terrible, it's just super generic and forgettable. The fact that he's the poorest vocalist of the five in the group doesn't help either. Musik, die man sich für schwerfällige Momente auf der Bahnhofstoilette wünscht: Routiniert dahinfließender Brei, der sich bereitwillig in die Kanalisation verbannen lässt. Einfallsloser geht es fast nicht. Ist unser Neueinstieg der Woche >#8! Ansonsten top in den UK-Charts. Pretty terrible. I especially hate his girly autotuned voice that pretty much sounds like a robot. Bordering on a 1. I thought you'd probably be exaggerating a little Zacco when you said Louis sounded like Katy Perry, but no, you were completely accurate, I thought that I had tuned in to a a Katy Perry song by mistake. Otherwise, I don't hate it, but it is pretty forgettable, and not one I intend to come back around to soon. 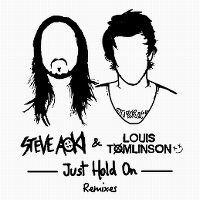 I've never liked a Steve Aoki song in my life, but surprisingly this isn't bad on his part. It mostly sounds like a poor man's Let Me Love You and I'm fine with that, but yeah, Louis sounds really bad here. I think the studio magic did more harm than good and I can't unhear the similarities to Katy now... That said, it's far from being the worst thing on the charts. Leuk nummer, jammer dat deze niet hoger scoort in onze lijst. Stimmt, so kann man es sehen. Immerhin mal etwas, das leicht anders klingt, als der elektronische Charts-Einheitsbrei. Insofern hätte ich dem Song mehr Chartserfolg gegönnt. Gute 4. I am in love with the lyrics. They are sad, yet full of hope and positivity for the future. I personally don't think his voice fits the genre of this song, but Louis did a good job. The dance sound of the song is not really my type, but it's good. Elk lid van One Direction heeft weer een andere muziekstijl, wat op dit nummer weer goed te horen is. Nooit verwacht dat die zo uiteenlopen! Het klinkt eigenlijk best wel leuk, maar het lijkt erg op 'We Own The Night' van The Wanted. Average effort, but not terrible. "Average effort, but not terrible" might be the right judgement. Passabler Dancetrack, der immer nur in eine Richtung geht: Nach vorne! The commercial song is quite good. Recht ordentliches Stück. Die Stimme von Louis Tomlinson finde ich recht angenehm.